Nick Nuttall, Spokesperson for the UN Framework Convention on Climate Change (UNFCCC), John Crowley from the secretariat of UNESCO’s Management of Social Transformations Programme and their civil society partner Miroslav Polzer (IAAI) said: “We are looking forward to meeting and awarding the winners on 7 December in Paris. The creativity and musical communications skills of so many young people are a testament to just how seriously youth from all corners of the Earth today take climate change. There were so many impressive songs, made with such love and care from so many youth, we as judges struggled to make our final decision”. “But we now have our winners including a special recognition prize for a children’s song from the home city of the UNFCCC. 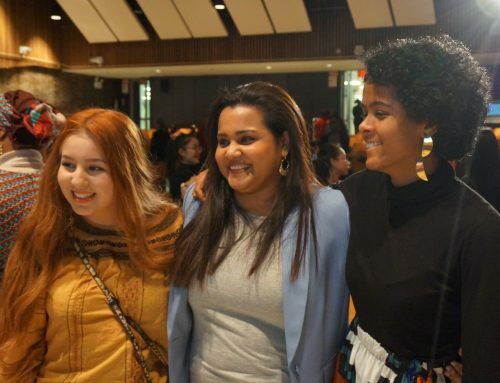 Each entry has their own story to tell, from the risks the world is running from failing to address climate change, to the power of young people to catalyze change. We hope governments meeting in Paris in December to forge an historic, universal climate agreement download these songs and play them at moments when inspiration is needed. Perhaps we can save the world with a melody or at least contribute towards the kind of forward-looking decisions that can help humanity get there, “ they added. 45 young musicians from 26 countries from all around the world (including Fiji, Chile, Colombia, United States, Canada, Grenada, Nigeria, Benin, Kenya, France, UK, Germany, Austria, Italy, Slovakia, Albania, Turkey, India, Sri Lanka, Indonesia, Vietnam, etc.) 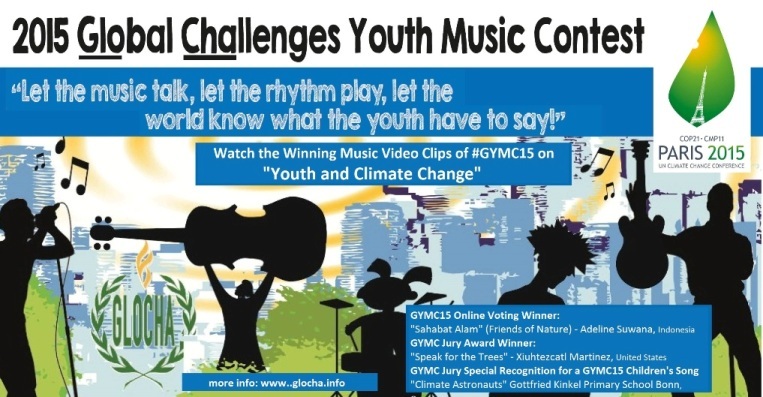 followed the GYMC15 Call for Music and submitted their self produced music video clips on “Youth and Climate Change” to inspire the negotiations at UN Climate Change Conference COP21 with their music. Speak For the Trees was written on behalf of protecting the worlds resources for future generations. Our song tells the story, of how young people are standing up all over the world as leaders to protect what they love and to be a voice for those that are voiceless. Ours and future generations will be most affected by the decisions made at COP21, so we are using our voices though music to remind world leaders what is at stake and that what they decide at COP21 will determine the kind of world they will leave us with. In addition to the above two award winners for songs created by young people, the GYMC jury decided to introduce an additional ‘Special Recognition for a GYMC15 Children’s Song’ and to award Gottfried Kinkel Primary School Bonn, Germany for their song: “Climate Astronauts”which stands out with the innovative collaborative process in which the song has been produced (the Climate Ambassadors program http://www.bonner-klimabotschafter.de). The award ceremony will take place in Paris on 7 December 2015.